Quality From An Expert Dr. Tess Mauricio is a Board Certified Dermatologist from the Stanford University School of Medicine. Her expertise is in Aesthetic Dermatology. This means that her formal medical education was specifically in Dermatology, the study of skin. Many other clinics do not advertise who their medical director is or whether their doctor studied dermatology. With the decrease of insurance reimbursements due to changes in the healthcare system, other doctors are finding that entering the aesthetic field is a great way to make a buck, usually by offering similar services for a cheaper price. However because those doctors did not study or train in the field of aesthetic dermatology, their understanding and results cannot be expected to match those of a Board Certified Dermatologist. Even among dermatologists, doctor Tess stands out. 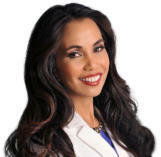 She is a past president of the San Diego Society for Dermatologic Surgery, multiple award winner, and has lectured to and trained thousands of other doctors and medical professionals around the world. Even when using the same technology, she is who other professionals go to in order to learn how to achieve the best results. 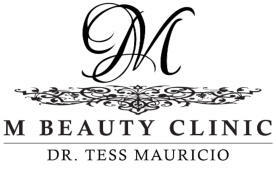 Each practitioner at M Beauty has been personally trained by Dr. Tess herself, and no treatment is performed unless she has authorized that treatment for you. Philosophy Our philosophy is “You At Your Best!” This means that we believe that everyone can achieve their very best without looking unnatural, artificial, or overdone. Many patients come in and point out one celebrity or other who’s had bad work and say “I DON’T want to look like that.” When you come to us, you won’t end up with a “fake” look. Dr. Tess herself uses everything that we offer to our patients, and she does it in a way that gets results that make you look 5 to 10 or more years younger. Advanced Technology. Personalized Treatments. Unlike other clinics that provide a “One Size Fits All” solution, we will assess all your concerns and provide a specific solution to each individual problem. Because we have a multitude of machines and technology, we don’t have to “fit” our technology to your problem. You will have the peace of mind to know that your plan of treatment will not only be effective, but appropriate for your skin type. Dr. Tess’s reputation and authority is such that many companies offer their latest and greatest technology for her to try out before placing them in the market. If she does not believe in the science and results, she will not use it. Innovators Dr. Tess is the inventor of the best anti-aging treatment available today, The Time Machine Procedure™. It is the most effective combination of all the latest technologies and techniques to make you look many years younger without surgery. In fact since Dr. Tess initiated the global launch of The Time Machine Procedure in 2014, it is now available at many other practices around the world. When you come to M Beauty by Dr. Tess, you have the unique advantage of being treated at the home of its creator and trainer, Dr. Tess. 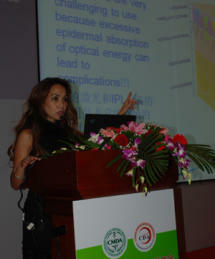 Dr. Tess was also one of the first to pioneer the use of laser treatments on patients with skin of color. The results of her clinical studies are still being used even today, over a decade later. This is why we are able to treat all skin types and ethnicities. Many people don’t realize that the energy that many machines use is absorbed differently according to skin type, color, and darkness. Many practitioners are unaware of the limits and precautions that must be taken due to these differences, and it takes an expert to treat certain patients and get results without causing damage. Healing Inside And Out With A Personal Touch MBeauty By Dr. Tess is a family business, and we treat all of our patients as if they are a part of our family. This means that we only recommend treatments that we know are safe and effective. Most of our patients do become our friends, and some even become our employees. The main reason our patients stay with us is not just because we are able to treat their skin, but because we are able to heal them on the inside as well. We treat everyone with respect and believe that healing patients on the inside is as important as helping them with their outside. We Have Something That Will Fit Your Budget No matter what your limitations, we will work with you. Because of our wide range of treatment options, there’s something for everyone.